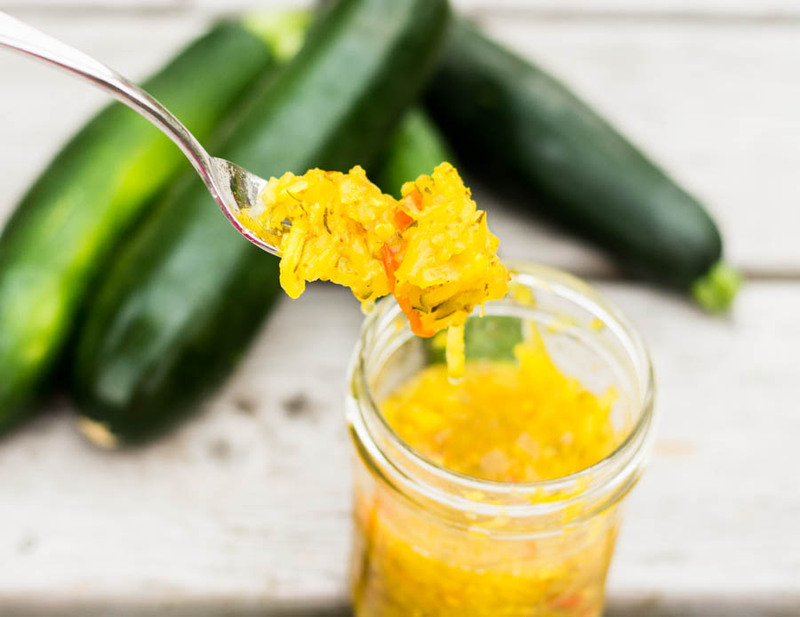 Zucchini…..I hope you all planted a few too many plants this year, because you must make this zucchini relish! Aside from zucchini bread, zucchini pasta, or zucchini cookies, this is one more thing you can make with this versatile squash. This is the best thing you will ever make with your zucchinis! 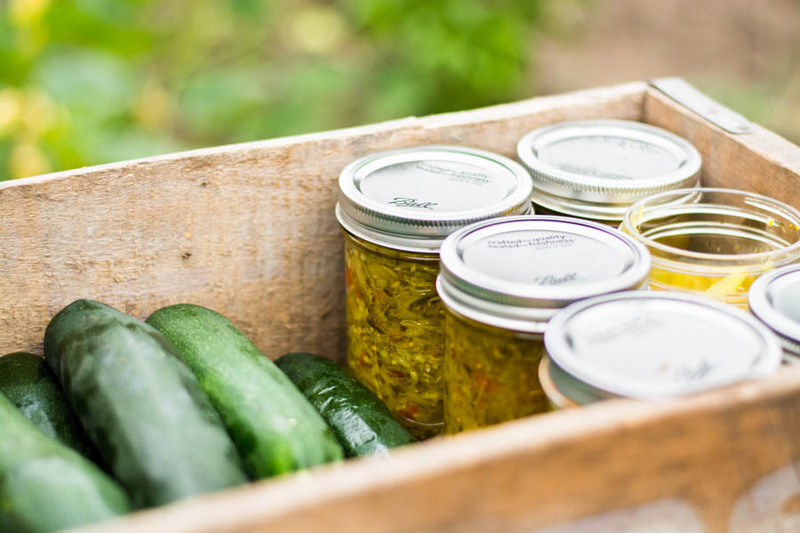 If you didn’t plant a few extra plants this year, I’m sure your neighbor or gym pal did, and I’m sure they will gladly give you a harvest full of zucchini in lieu of a few jars of relish. If not- you can always save this, share it, pin it, file it…and save for next season. I canned about 24 jars of this last year, and gave away about half already. And the lucky friends that received my jar of zucchini relish, asked for the recipe! I like to use this relish in tuna, on burgers, quinoa patties, hot dogs, and anything you would put relish on. It’s my favorite in tuna sandwiches I have to say! Super easy and quick to make, I use my food processor to grate down the zucchini and onions, then rough chop the bell peppers. Cook on the stove for 15 minutes, and then can it. 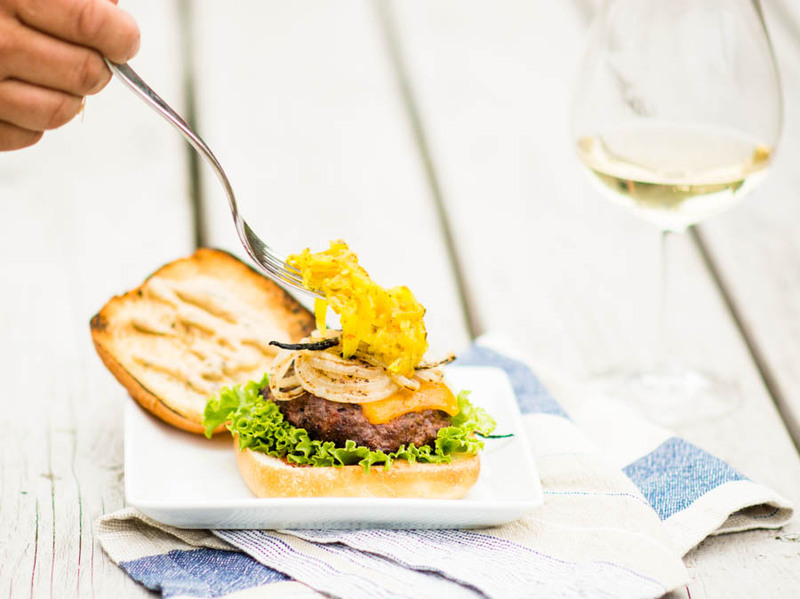 Your tastebuds will thank you later! 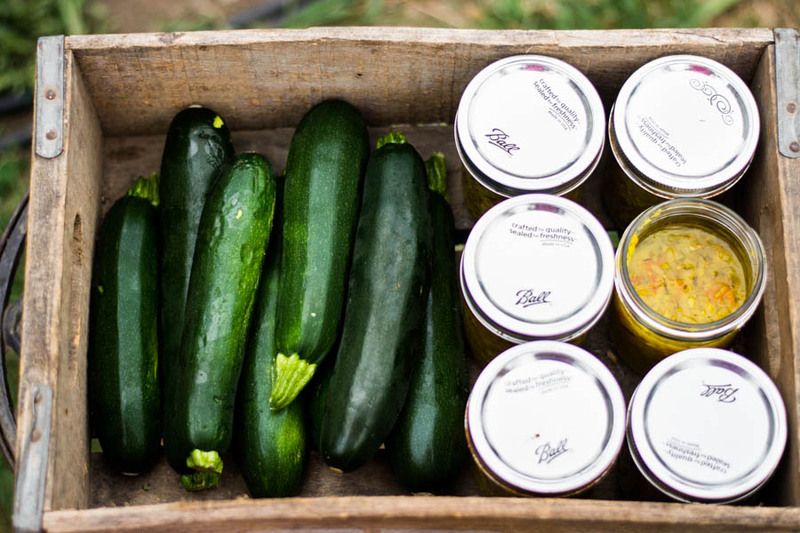 So now you probably wish you had planted more than one zucchini plant in your garden?! 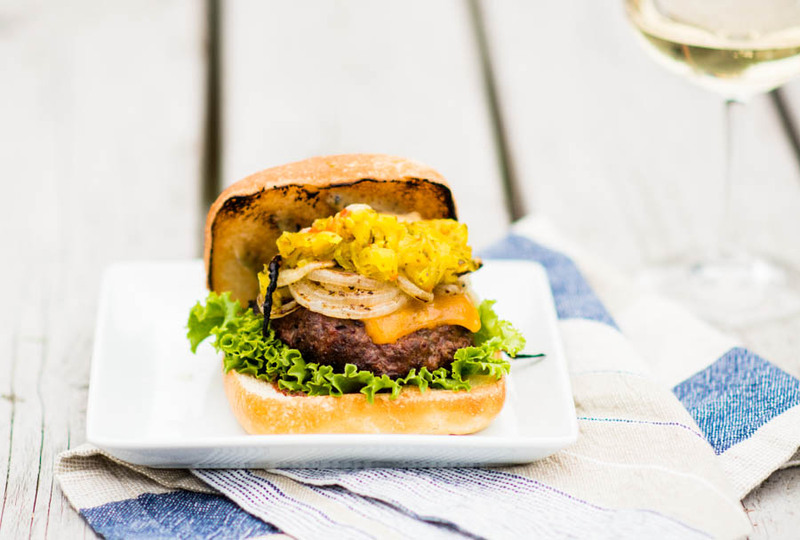 Cheers to grilling burgers, canning, and summer gardens! In a large bowl, mix the zucchini, onion, peppers and salt. Cover with cold water, let sit for 2 hours. Drain vegetable and rinse well. In a large nonreactive pot, bring to a boil, the sugar, vinegar and all the spices. When sugar is dissolved, add the rinsed vegetables and reduce the heat to low. Cook for 10 minutes. 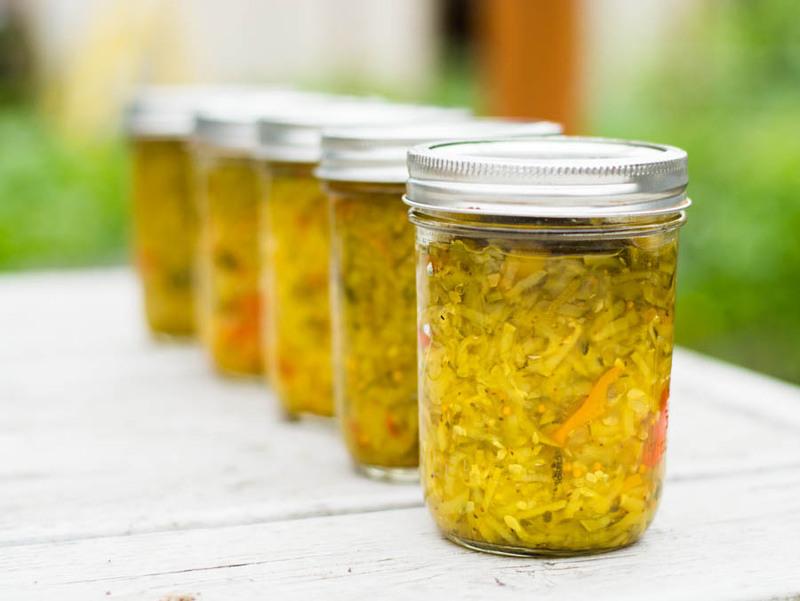 Add to your prepared canning jars and boil in water for 10 minutes to seal the jar. We have gotten at least 8 zucchinis for the past 4 weeks in our CSA. After the obligatory zucchini bread, I’ve just been grinding them and freezing them. This looks like a great alternative! one of our family friends always made zucchini relish and served it with corned beef. i was obsessed with it in my teen years and put it on everything. i have been meaning to make it as an adult but always forget during zucchini season (usually because i’m obsessively making cake!). will definitely have to make some before fall is officially over!